Janie Bress - My North Shore Blog: Eat Fresh, Eat Local on Chicago's North Shore! A healthy lifestyle is just one of the many things offered on Chicago’s North Shore. Whether it’s taking advantage of biking and walking trails, getting out in the fresh air in each North Shore cities’ quaint downtown or shopping for local produce at the area farmers’ markets; you’ll enjoy endless opportunities to engage in a health filled lifestyle this summer! In serving as a North Shore Real Estate agent for a number of years in the cities of Deerfield, Winnetka, Northbrook, Glencoe and Highland Park; I’m always eager to let those relocating to the area what these charming areas have to offer and ways to get involved in the community. 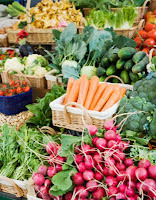 A great way to do this is through the weekly farmers markets which allow you to eat fresh, support local farmers and get to know your neighbors. 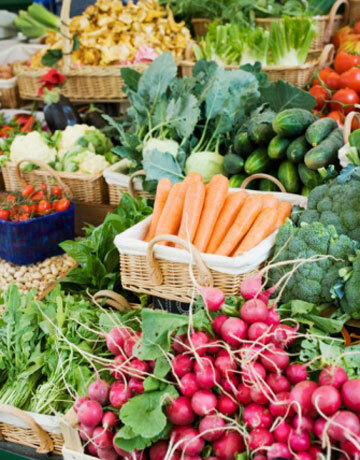 Below are just a few of the North Shore farmer’s markets you won’t want to miss! I hope you’re able to get outdoors this summer and enjoy the healthy and fresh food grown by local farmers. This is a great way to support the local businesses and the community while buying the freshest produce in the area! If you’re considering relocating to the North Shore this summer and are interested in learning more about the North Shore lifestyle or would like to see some of the homes currently available on the North Shore Real Estate market; please contact me today! I would love to help you find your dream home in Chicago’s North Shore!